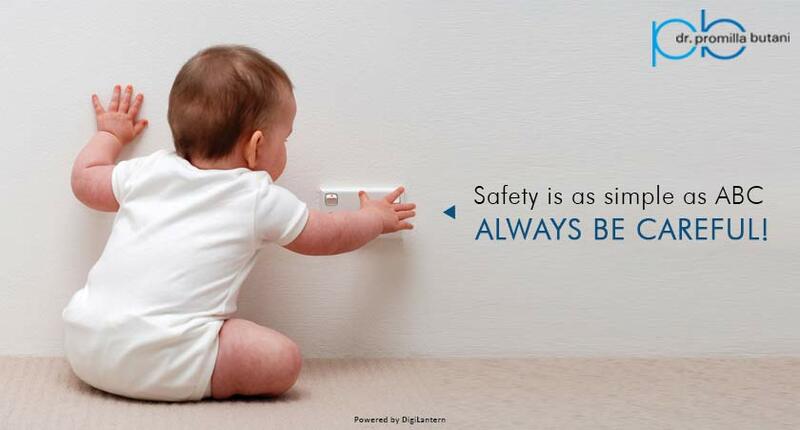 Safety is as simple as ABC – Always Be Careful! As a parent you would want to be available for your child at all times, however, this can not always be possible. There might be a few places where your child is alone such as parks, schools, playgrounds and sometimes even at home. It is ideal to let your child take care of a few things on his/her own at an early age in order to help them grow into a more responsible adult. All you need to do is to teach them some basic rules of safety to ensure their well being when you are not around. 1. Kids should always lock all the windows and doors and should not answer it for strangers. 2. Keep electronics and other items away from the child’s reach to avoid any accidental injuries. 3. Remove the items which are around the tub. When bar soap becomes small enough to fit into a toddler’s mouth, it can cause a choking hazard. 4. Leaving them alone in the bathroom or in the kitchen can lead to accidents & injuries. 5. Teach them not to run on the staircase and rather be careful while climbing up or down. 6. They should never ever climb/jump on the furniture when they are alone. 7. Soft toys may cause infection in the mouth of your infant, so don’t allow them to put soft toys in their mouth. 1. Never leave your child alone in the car. 2. Always lock the seat belt properly. 3. Make sure that when you are riding the car then your kid must ride in the backseat. 4. Always be choosy of toys. Toys with sharp edges might hurt your child while traveling. These 5 simple rules will help your child to develop a strong understanding of stranger safety basics. 1. If any stranger offers your child something to eat teach him/her to clearly refuse it. 2. A regular communication can save your kid’s life. If he/she has had any inappropriate encounter with a stranger or maybe a known person/family member, your child must tell you about it. A friendly communication can help you solve their each and every problem. 3. Encourage your children to play only with their friends to avoid giving a chance to the stranger to reach out to them. 4. Kids should never go up to a stranger’s car and if they insist they should run away and shout for help. Children trust adults and know that they would help them with things just like their parents do. Their innocent trusting nature is sweet, but it can be dangerous in some cases. So, as a parent, you must make sure that your child is aware of the basic safety rules. If you feel that you or your child require any kind of counseling then you may feel free to contact us at – info@drpromillabutani.com. Why Vaccinations are important for your Baby?